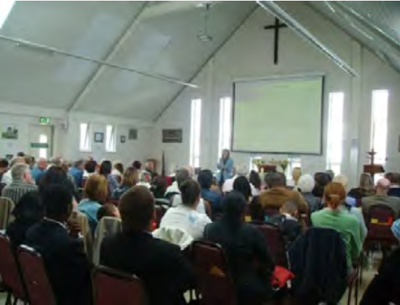 The main Sunday service at St. Clement's is at 11:00am each week and is an informal and lively gathering for our Family Communion, presented via projector to a large screen. (When we speak of 'Family Communion' and 'Family Worship' we mean the family of the church rather than our personal family circumstances). Members of the congregation read the Bible readings, lead the prayers of intercession and take on other roles that enable our worship service to happen. Each Sunday (except for our Family Worship, when we're all together on the 2nd Sunday of each month) there are children's groups for children from age 3+ and a creche space for parents/carers with younger children to use if they wish to. 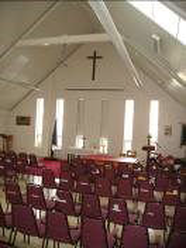 We try hard to offer a warm welcome to all at St Clement's!